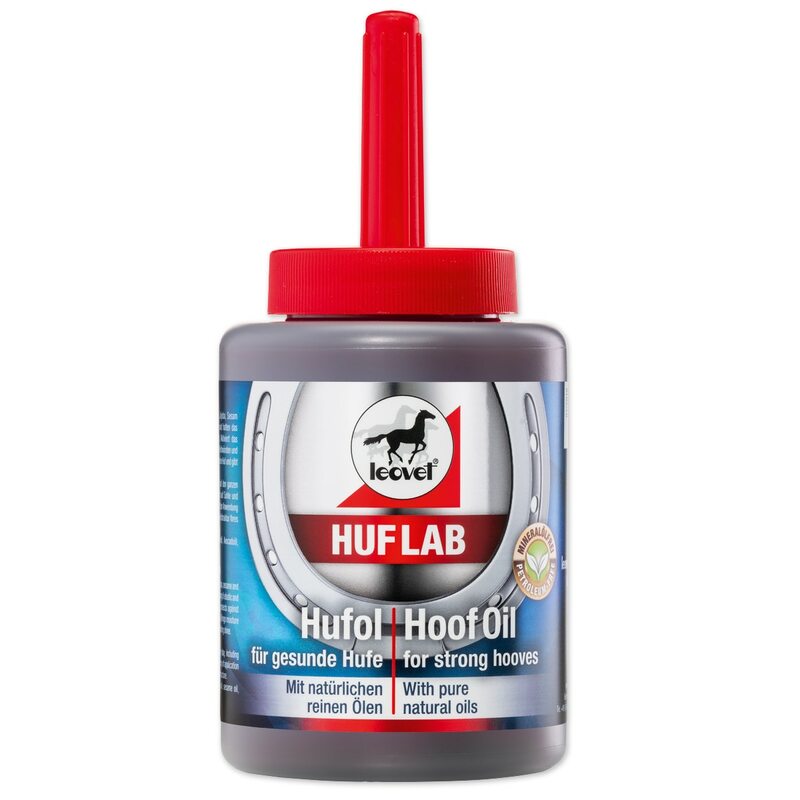 Leovet®'s new, Hoof Lab Hoof Oil is made from natural oils that promote strong hooves and are eco friendly. Pure plant oils from avocado, jojoba, sesame and calendula nourish the horn and help the hoof remain elastic and strong. This pleasant smelling oil works to activate hoof growth as well as protect against separating hoof walls and decay. The Hoof Lab Oil will moisturize and give hooves a long-lasting shine. Brush sparingly onto the entire clean hoof every day, including sole and frog. Adjust the frequency of application to your horse's individual hoof structure. Leovet® Hoof Lab Hoof Oil is rated 4.0 out of 5 by 2. Rated 5 out of 5 by Eliz from Great oil. Great ingredients I love this for my gelding. Ingredients are clean and natural and absorb well into the horn. Also a good consistency to spread well but not too runny. Lasts as well and the applicator and bottle are no mess and seals well with no leak. I like this brand. Rated 3 out of 5 by Skydas from It's a pain to use. I really like the ingredients in this hoof oil. However, it is more of a paste then an oil. I live in the Pac North West, and we rarely have a high over 65. I end up wasting quite a bit because it has to be slathered on.